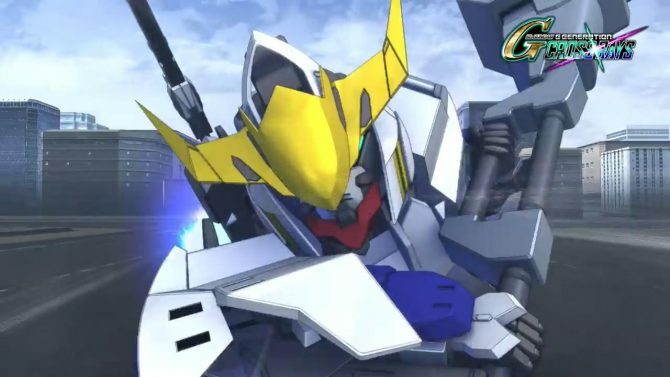 Bandai Namco Entertainment revealed that SD Gundam G Generation Cross Rays will release in 2019 for PlayStation 4, Nintendo Switch and PC via Steam. Moreover, the game will receive an English version through its Southeast Asia release. This isn’t surprising news as multiple Bandai Namco games have been receiving English releases these past years. This includes the previous game in the series, SD Gundam G Generation Genesis, but other Bandai Namco games as well such as Full Metal Panic! Fight! 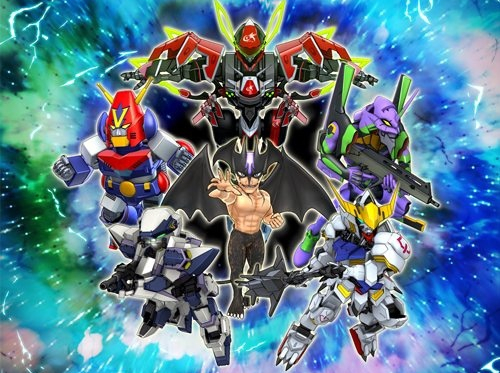 Who Dares Wins, the latest Super Robot Wars Original Generation game Moon Dwellers, or the latest standalone entries in the Super Robot Wars series, V, X and T. The fact that’s it’s coming to Steam is a pretty big deal though. 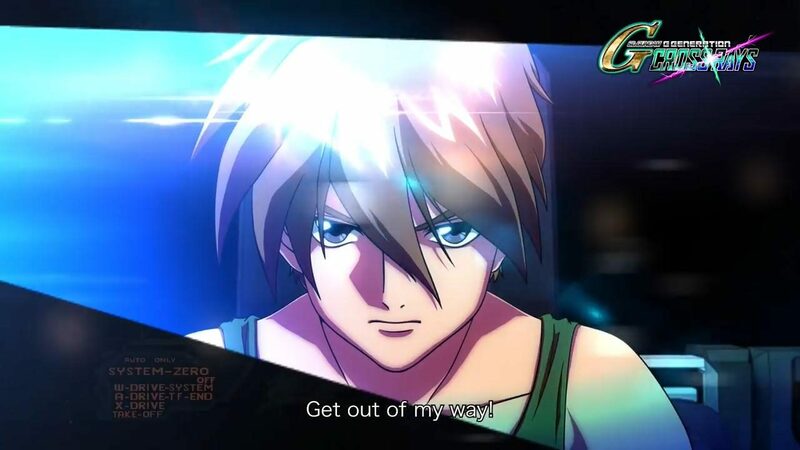 Moreover, SD Gundam G Generation Cross Rays will be featured at Taipei Game Show, from January 24 to 28. A stage event will be held, featuring voice actor Soichiro Hoshi and voice actress Rie Tanaka, who respectively voice Kira Yamato and Lacus Clyne in Mobile Suit Gundam Seed. New information on the game will be revealed by Bandai Namco Producer Kensuke Tsukanaka and Tom Create Director Yoshiki Miyagi, also present at the event. The SD Gundam G Generation Cross Rays stage event at Taipei Game Show will be held on January 27, last from 12:00 to 12:45 JST and will be streamed on YouTube. Here’s the stream’s link. Look forward to our report following it. 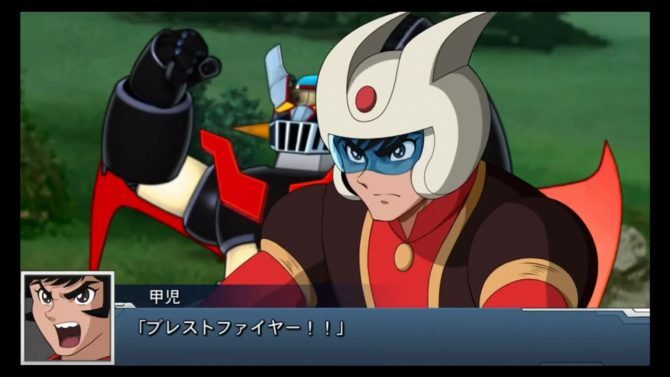 Lastly, you can find below the English version of the game’s first trailer. The trailer is a longer version of the one which was teased on January 21. It starts by going over the history of G Generation games and then showcases multiple units and characters from the four Gundam series featured: Mobile Suit Gundam Wing, Mobile Suit Gundam Seed, Mobile Suit Gundam 00 and Mobile Suit Iron-Blooded Orphans. Similar with past G Generation games, rather than listing the series names, it lists the eras or calendars used by the series, to reflect the fact that many manga and novel spin-offs of each series are included in the game. Then again, some will say saying “eras” in plural is a mistake as all Gundam series could canonically be in the same universe, something I’ve never really cared about. As a side note, past games which focused on Universal Century series always had bonus mecha units and character from other Gundam works. However, Cross Rays isn’t including any Universal Century series as bonuses in non-story related missions. As far as I know, it’s the first time a G Generation game won’t feature Amuro and co. 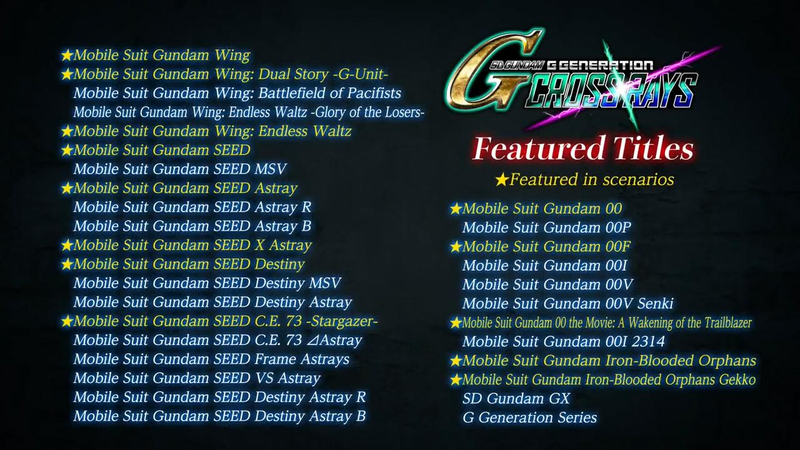 In any case, you can find below the full list of Gundam works included in SD Gundam G Generation Cross Rays.